Georgina’s spasticity management changed her life. She is pictured above with her therapist, Jessica Alessandrini, DPT. Georgina is a paraplegic from a Spinal Cord Injury (SCI). Her injury occurred in the lower thoracic region of her spine causing her to lose all movement in her legs. Georgina did not receive rehabilitation after her accident and had to rely on other people for almost all aspects of living. She was very aware of the enormous benefits of attending an inpatient rehabilitation center and began to advocate for herself by researching facilities. 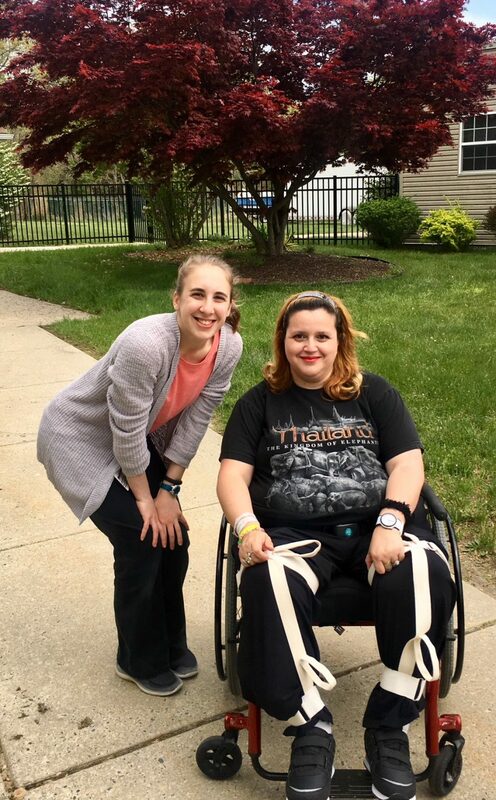 Two years after her injury she met with Dr. Marianne Sturr, a doctor of physical medicine who recommended her for the inpatient Spinal Cord Injury Program at Bacharach. Georgina received 3 hours of intensive physical and occupational therapy every day for almost 3 weeks. She was taught new ways of living to achieve maximum function and independence. She quickly learned that she was capable of doing a lot on her own. A side effect of her injury was severe spasticity in her legs, especially her thighs. Spasticity is extremely painful and uncomfortable. Her legs would stay straight and clenched together all day long, making her muscles very tight and rigid. 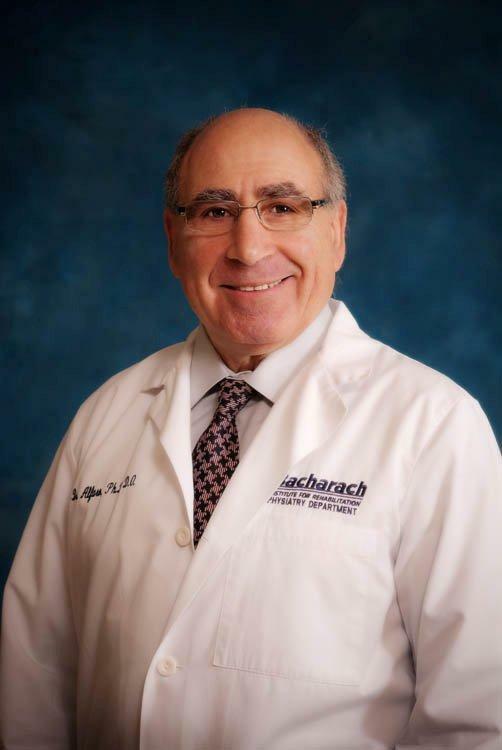 Dr. Abraham Alfaro, who specializes in spasticity and dystonia, recommended phenol injections to help reduce and manage the spasticity. The relief from the injections was immediate and life changing. Her muscles completely relaxed and she was able to participate more fully in her therapies. She was taught how to position her legs with her arms and how to transfer in and out of her wheelchair without assistance. Now that the spasticity is controlled, Georgina can independently bathe, dress and feed herself. She is even able to reach down and give herself a pedicure! One component of the inpatient SCI program at Bacharach is to match each patient up with a mentor. Georgina befriended Dawn Robinson, a fellow paraplegic and member of Bacharach’s Spinal Cord Injury (SCI) Support Group. Dawn is a well -known prone paddleboarder and practices with the Open Water Swimming and Prone Paddleboarding Club during the summer. Georgina plans on joining the group as soon as the weather is warm. Dawn also showed Georgina how she drives a regular car but uses hand controls.